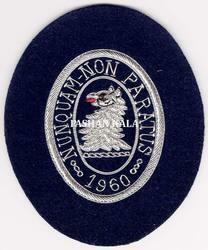 We are manufacturers and exporters of Handmade Badges Embroidery. We have many style to offer in this category. We expertise in Sequence, Beaded, Stones, Zardosi, Hand Embroidery etc.. We can make according to buyers requirements. We manufacture a wide range of Glass Votive Holders and Candle Stands. Made of finest quality glass, our exotic range of glass handicrafts adds a new sparkle to the decor. These are crafted by skilled artisans in various designs & patterns. We also offer customized solutions as per client’s requirement and offer our range at industry leading prices. • Size : 2, 2.5, 3, 3.5, 4, 5" Inch and any customize size as per request. • Design : We can make any customize design on request. We offer an exclusive range of table lamps and hanging lamp that add grandeur to the ambiance. These are widely popular among our clients for offering shock proof, durable and highly efficient feature. We also meet customized requirement for our clients requirement. 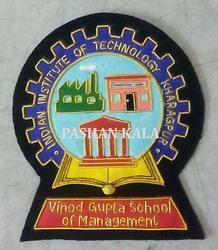 - Manufacturing Process Hand embroidery work through needle on fabric. 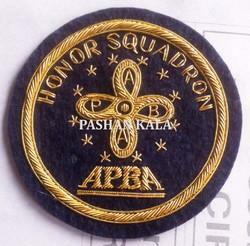 - Size 2, 2.5, 3, 3.5, 4, 5" Inch and any customize size as per request. - Design We can make any customize design on request. We are manufacturer and exporter of high designed Hand Embroidery Ladies Handbags. We have many styles of fashion hand bags & Purse as well to offer. We can develop any style according to buyers requirements. Hand Embroidery and Beaded Handbags. We are manufacturers and exporters of Hand Embroidery and Beaded Handbags. 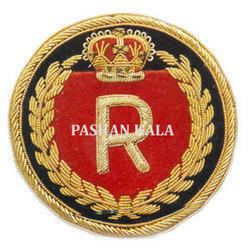 We expertise in field of sequence work, Beaded, Thread embroidery, Stone work, zardosi work etc.. We can customized according to buyers requirements. 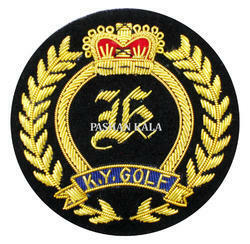 Looking for Hand Embroidery Badges and Patches ?